Also keep in mind our Eradicate Polio Fund raising goals. Our Club Member and District Governor, John Hathaway, has set a goal of raising $200,000 this year ,which when matched will total $1 million. To date, the District has raised $167,000 toward the $200,000 goal. At our Thursday Club Meeting, many members made a pledge toward meeting this goal. If you would like to help, send your check to the Rotary Foundation, noting it for Polio. Lets support John in achieving this very important goal. On behalf of District Governor John Hathaway, we are excited to invite you to this year's Rotary District 5910 Conference!! Join us in The Woodlands beginning April 5th with a BBQ and Texas Country Songwriter and Recording Artist Max Stalling. Saturday is filled with inspirational speakers and the Caribbean themed District Conference Gala. The conference closes on Sunday morning with a call to be People of Action! The Early Bird Cost for the conference is $225 - including the Saturday Night Caribbean Gala but it does not include the Friday Night Max Stalling Welcome event. Saturday only is $175 - and that includes the Saturday Night Gala. Early Bird ends March 4 - so get registered now!! We have added a Kids' track as well. 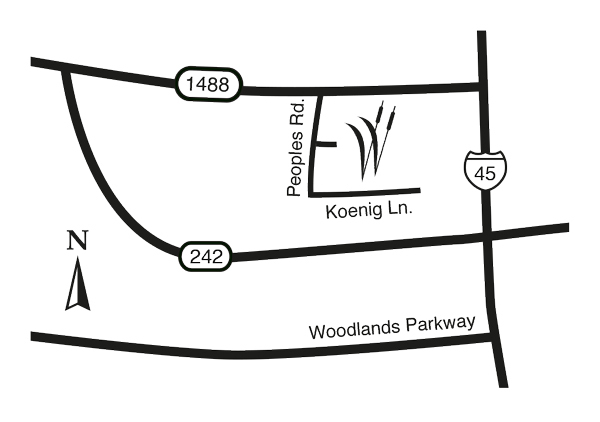 The Woodlands is known as a Family Friendly so bring the family! A block of rooms have been reserved at The Woodlands Waterway Marriott at a great price - $149/night. There is no group code but you can tell them you are with the Rotary District 5910 Meeting to get this special price. Questions? Contact Ann Wolford at annwolford04@gmail.com or Julie Martineau at jmartineau@mccfoundation.org. Don't miss out on all the delicious food, games and comradeship!! The Rotary Club of The Woodlands is excited to invite you to their Texas Legends Crawfish Boil! Bring the family and join us for tasty crawfish with fixins, delicious food trucks, and great music. You’re sure to have a legendary time while serving a great cause, the Texas Legends Scholarship Fund, which will award college scholarships to students attending The Woodlands High School. Zero is the Magic Number! The three-year Countdown to History starts after the final Wild Polio case. Today, Rotary restarted the count with the report of two new cases. Our Club Member and District Governor, John Hathaway, has set a goal of raising $200,000 this year ,which when matched will total $1 million. To date we have raised $167,000 toward the $200,000 goal. At our Thursday Club Meeting, many members made a pledge toward meeting this goal. If you would like to help, send your check to the Rotary Foundation, noting it for Polio. Advocate, Donate & Educate to END POLIO NOW & FOREVER! Rotary members planning new service projects are encouraged to consider these areas and the many opportunities for innovative projects within them. The attached publication introduces each area and suggests how Rotary clubs and districts and their service partners can address these needs both locally and internationally. Members of Rotary After Hours (RAH) are part of The Woodlands Rotary Club. The only difference is that they meet after hours from 5:00 - 6:15 pm the first and third Tuesday of the month. RAH is ideal for professionals that may not be able to attend the our regular Rotarian luncheons meetings. Ideal members are community professionals that are highly motivated to be service oriented in giving back to the community with Rotary Club of The Woodlands. If you now someone who is interested in joining, invite them to our next RAH Meeting! RAH Meetings are also open to all Rotarians. So come out to have some fun. For Meeting Locations, visit our Club Calendar or list of Upcoming Events on the web site. "An Evening of Elegance!" event was held February 23 at The Woodlands Marriott. We honored Michael and Vicki Richmond for their major contributions to our community throughout the past 35 plus years. How Can I Best Communicate My Event Information? ROTARY EVENT CHAIRS, the best way to make certain your EVENT information is included in our Club Calendar, List of Upcoming Events and in our Monthly Newsletter (The Link), is to provide the Web Master the needed information via use of our Event Form. This form can be found in the Calandar Section of our Web Site (https://woodlandsrotary.org/sitepage/calender). In addition, you may also send an email to Club Members but this will have a shorter shelf life. In order to be included in our Monthly Newsletter, The Link, please provide your Event information to Mike Bass before the last Friday of the month. Rotary House Is Making An Impact! We are pleased to announce that our apartments are fully occupied with a waiting List. Over the last several months we have been 80% occupied. We are extremely excited to see so much interest in such a short of time. To date, we have provided 204 days of lodging to patients undergoing extended treatment and their families at our Medical Center, This represents over $30,000 in direct benefits to these patients and families. Our patients have included 9 infants and children plus two adult cancer patients. These patients have come from as far away as St Augustine, Fla. and as near as Huntsville, Texas. We are currently evaluating our funding strategy to see if we can add a third apartment. What do you think? The Hospitality Committee could use more people to check in on our families and make sure they get the support they need to continue caring for their babies. If you are interested in doing this and/or have an idea, contact Jon Sanderson at jon.sanderson@primelending.com.